Discover four of Kyoto’s most unmissable sites on this full-day guided bus tour from Osaka. 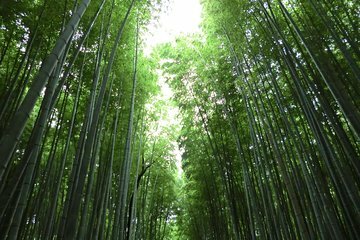 Explore the bamboo-filled district of Arashiyama, renowned for its natural scenery and centuries-old shrines, tick off two of the city’s most prized temples, and get a peek at the vermilion-colored Shinto gates of Fushimi Inari. Tours include flexible pickup from Umeda or Namba. You will be dropped off near Osaka station/Namba station. Entrance fees for Kiyomizu-dera Temple and Kinkaku-ji Temple are not included. The bus will leave on time even if some passengers with reservations are not at the meeting point. No refund will be made. Please arrive at least 10 minutes prior to the bus departure time.